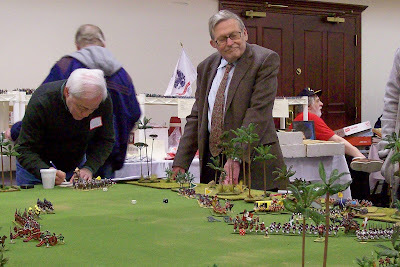 Judge Jürgen Olk officiated Ken Bunger's Tricorne III Rules adding many fun event cards; storms, dust, bad weapons, good news, bad news, wranglings and more. Judge Jürgen Olk on the right. To the rear and off the table. 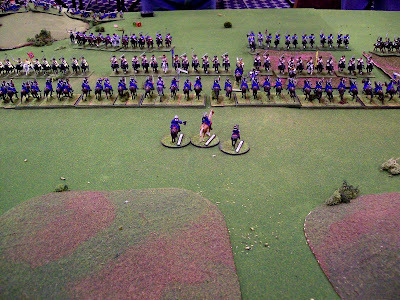 The French extreme left flank had evaporated in moments. A brigade of four battalions and a squadron of cavalry. 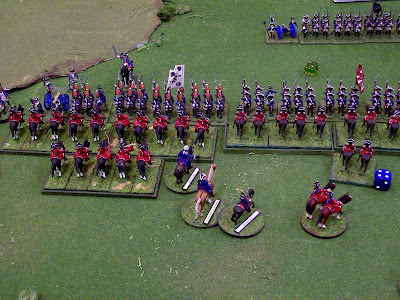 The leading infantry units advanced with levelled bayonets, got in close and were routed. 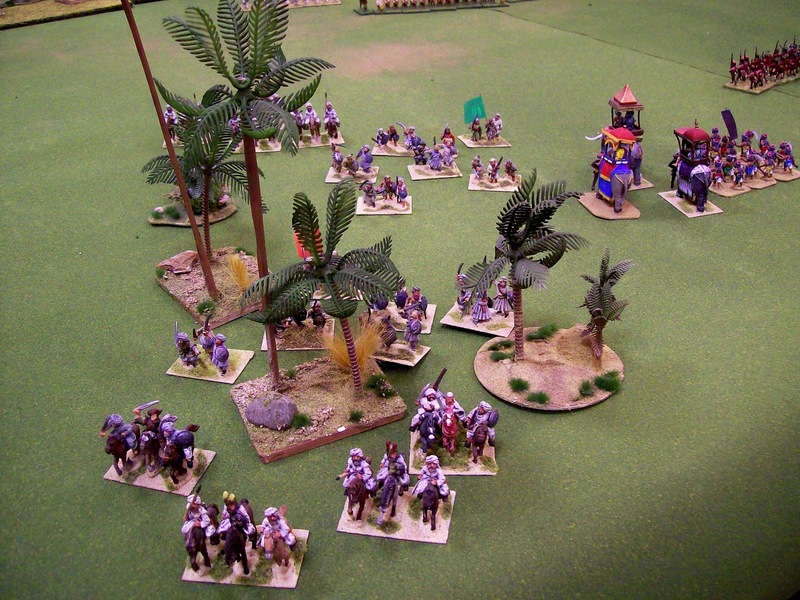 Only the cavalry succeeded in throwing back a body of seamen firing at them. Two British battalions from their right flank enlivened by their easy defeat of the native host advanced with colours flying and drums beating straight at the French. 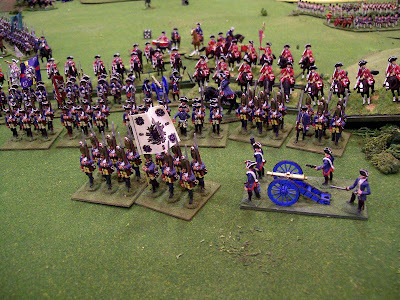 The French battery shifted its fire into them. On they came. The leading French battalions opened at medium range doing terrible execution. 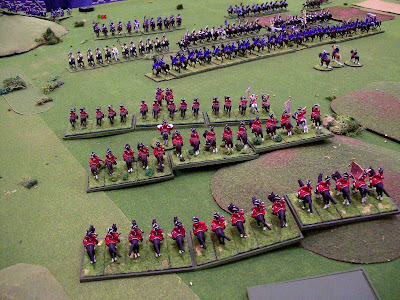 Unflinching on they came with shouldered muskets. The French hurriedly reloaded finishing as the foe halted at point blank range. 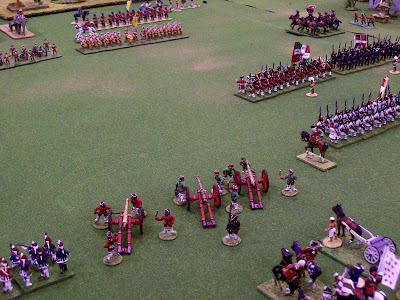 They delivered a withering blow to the French as the French simultaneously replied with less effect. 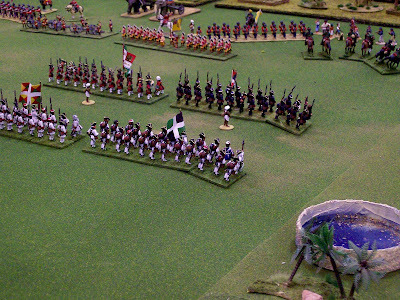 The British broke -- streaming back into their Sepoy allied units. Judge Jürgen raised my utter defeat to a draw. Whew! 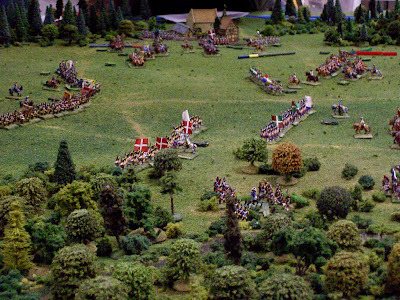 The next day Jürgen set up The Battle of Bungerpore again using survivors from the earlier battle described above. It is part of an on-going SYW campaign waged across the map. I believe they have reached the year 1757. Ken Bunger is shown at left whilst Professor Christopher Duffy looks on. Jürgen's event cards were drawn each turn. 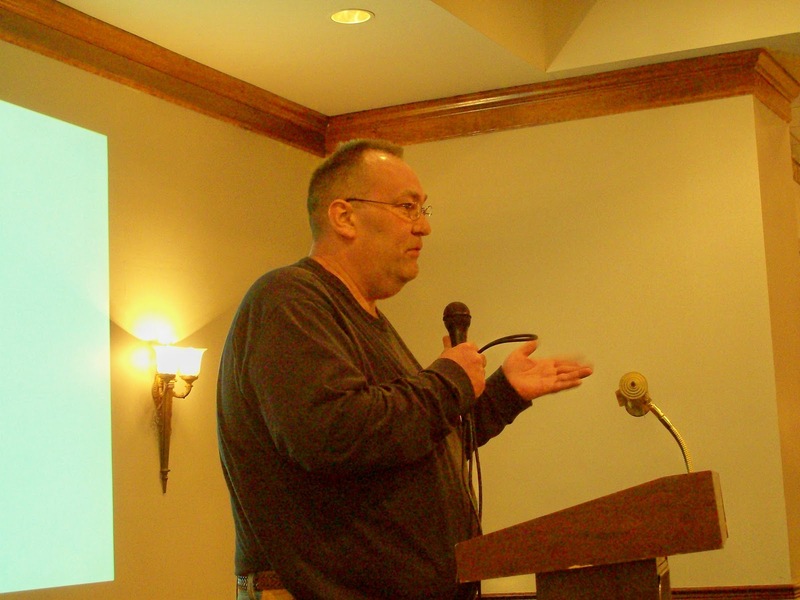 They provided unpredictable, clever, amusing and logical changes in the life of the game. 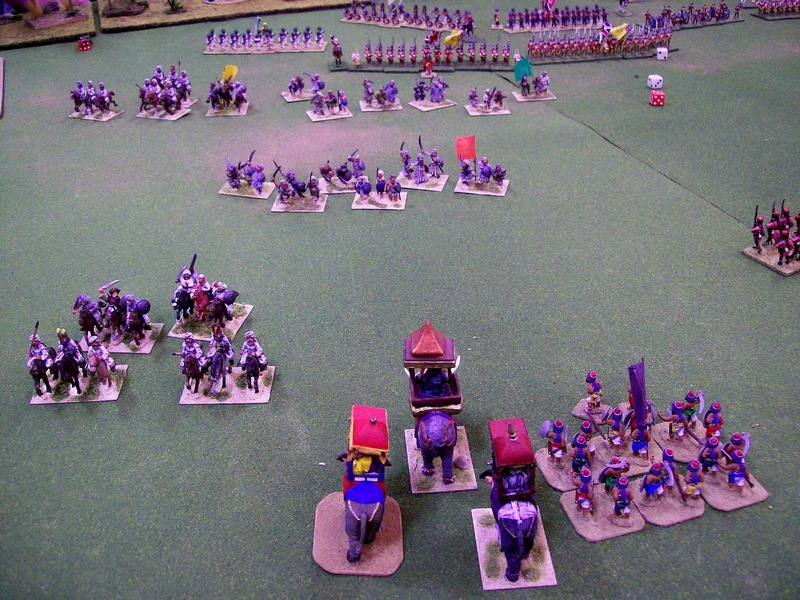 The uncertainty, colorful units and different types of combatants makes this a very interesting game experience. 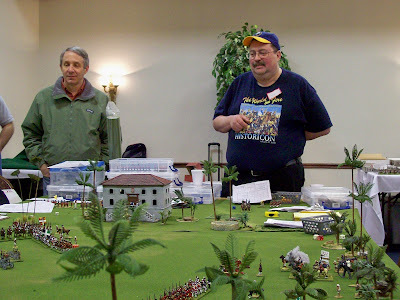 We certainly have British and French units for our Campaigns in Germania and North America in our WI, IL, IN and MN gamer's group. These could be sent to India. 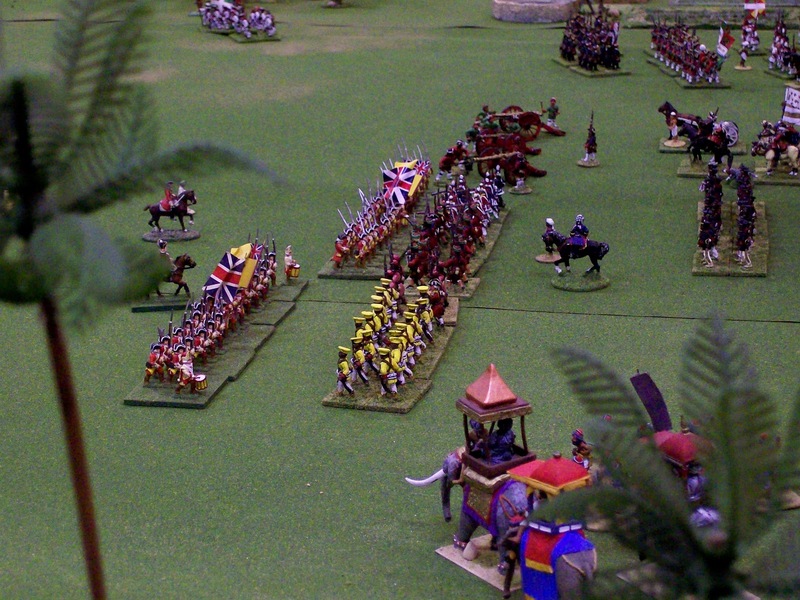 Some of the native forces from The Campaigns of General Pettygree might find service south of the NW Frontier too. Perhaps not much extra would be needed to fill the menu. Judge Dean West presides over his 15mm Battle of Sandershausen. We used Dean's The Final Argument of Kings rules. I enjoyed myself again. French forces on the right are attacking Hessian forces on the left. My command consisted of the two battalions on the extreme right flank of the Hessian battle line plus jager and grenadiers in the woods; left center foreground. We were outnumbered. 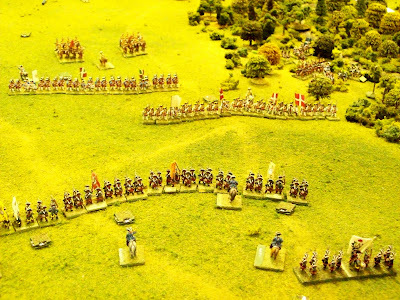 A small contribution might be made if I could dislodge the French in the woods and afterwards turn my grenadiers and jagers ninety degrees left to fire from the edge of the woods at the French marching by. 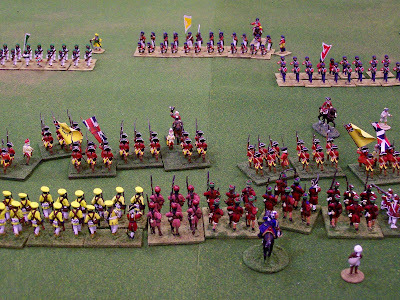 They might turn a battalion or two to face me. 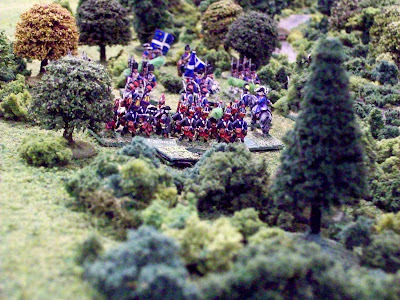 Good luck for my Hessians in the woods. The French were forced backwards. 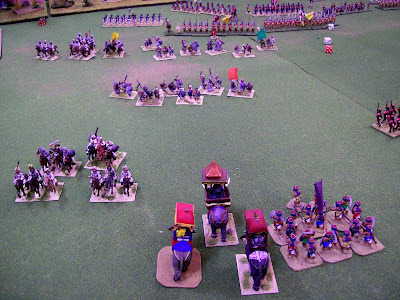 Over several turns. Four to five as I recall. I was too late. 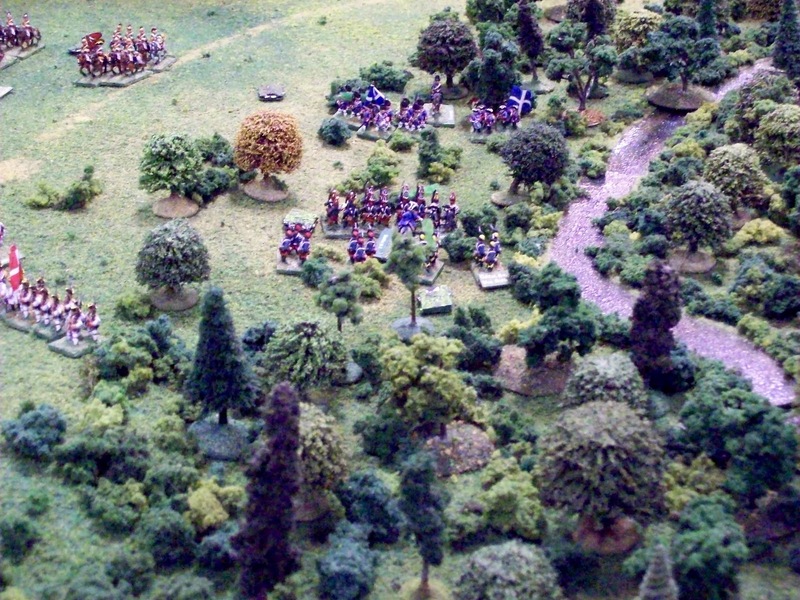 The French bypassed me and began to assault the hill in the upper left. 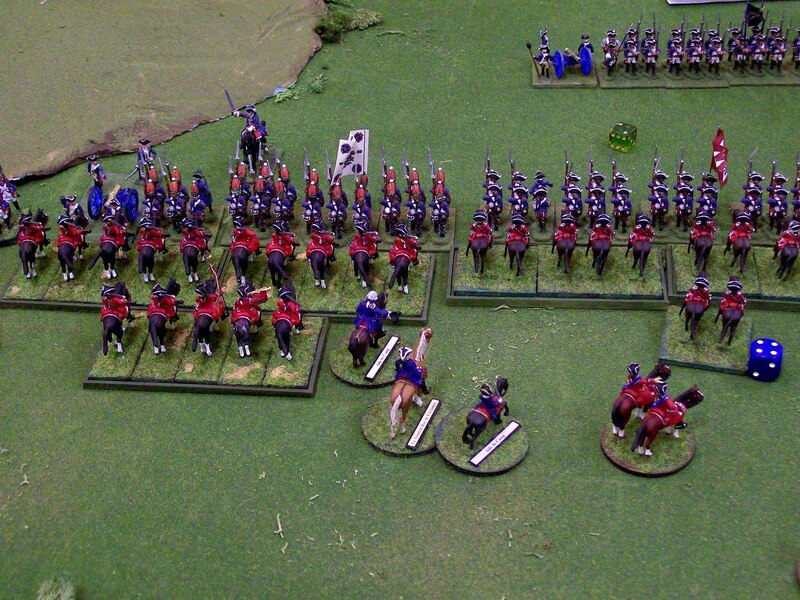 French forces marched up the hill at my Hessians and off-screen to the left winning the day. Solely from my perspective as the commander of the French cavalry. 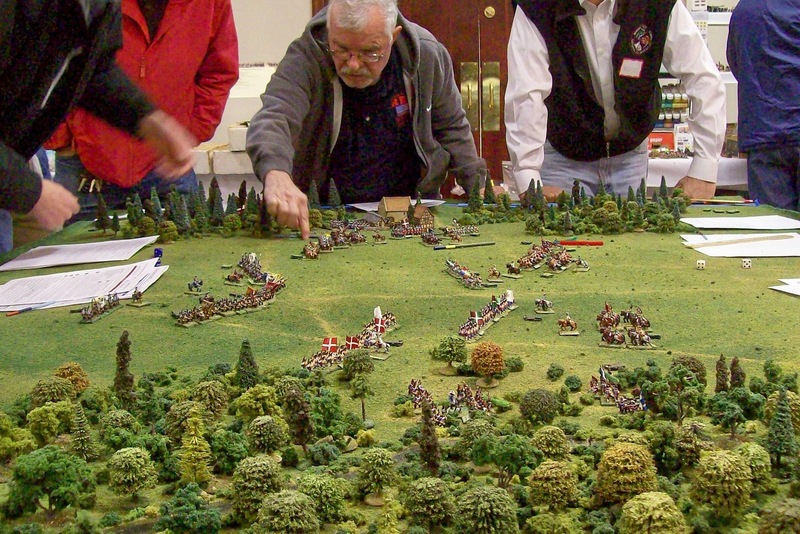 Tricorne author, Ken Bunger, marched his Allied Army onto the field of Korbach to oppose a French Army commanded by yours truly. My command was all cavalry; my Royals and Gendarmes. 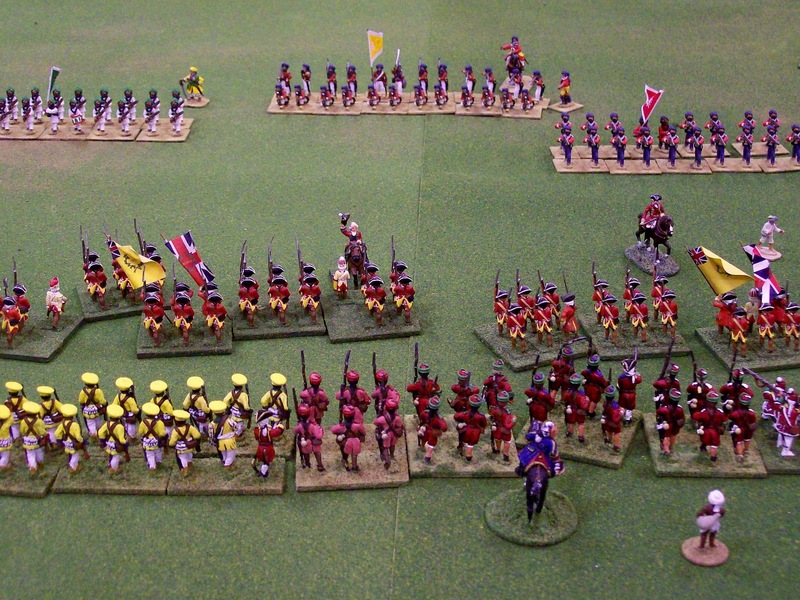 Rules = Tricorne III. 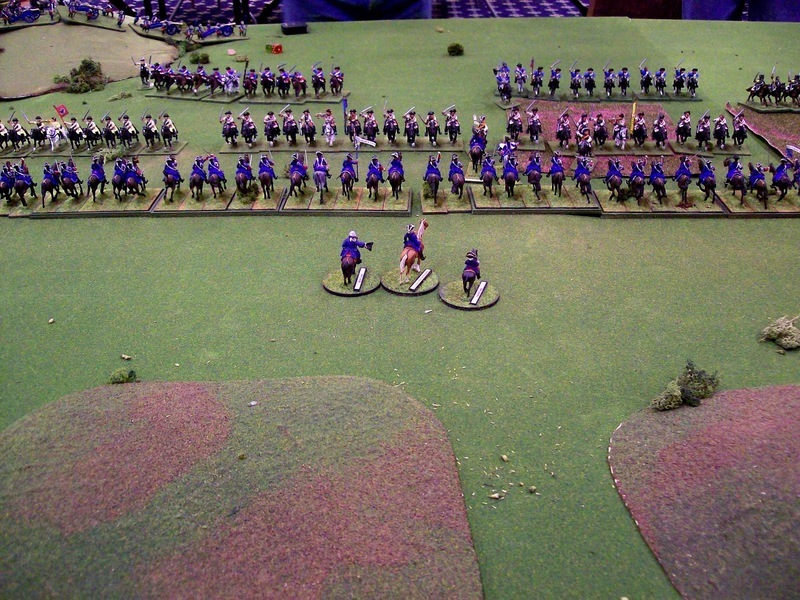 My Royals in blue charged straight at the Allied Army. 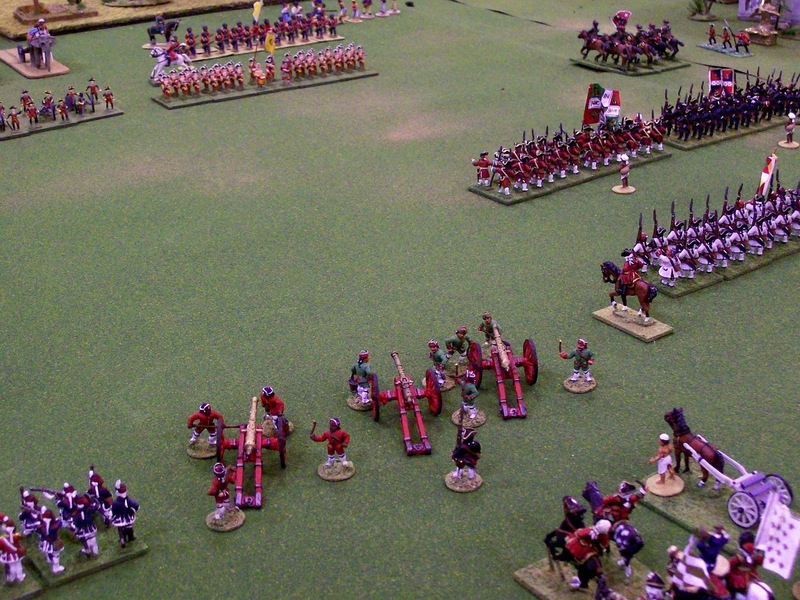 Behind the Prussian cavalry facing mine, as yet unseen Allied infantry were marching onto the battlefield. Some hoped to turn to their right (your left) onto hills off screen to the left. Some did. 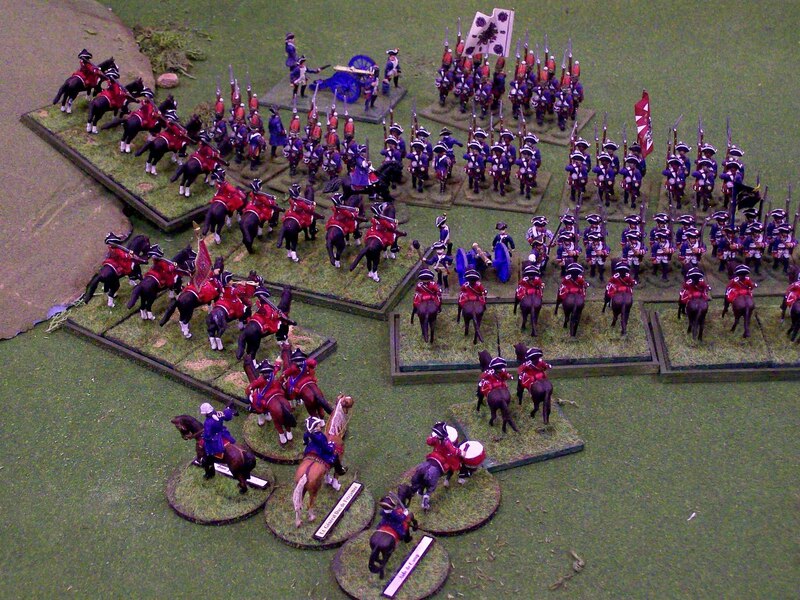 The cavalry units used by me are from my Batailles de l'Ancien Régime collection of BAR units. They play Tricorne and BAR easily. 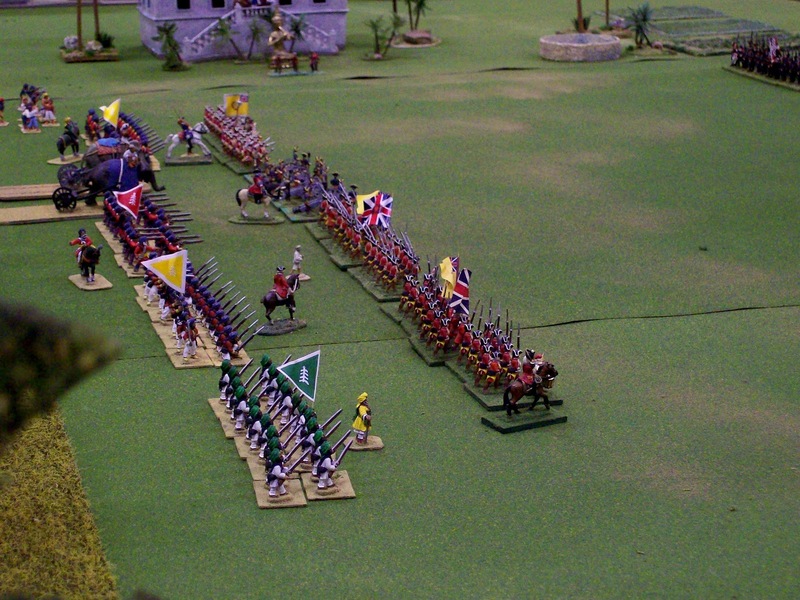 Three lines of my Gendarmes waited in column of squadrons/regiments awaiting developments. The Royals would be defeated, routed and pursued deep into French territory to the right. 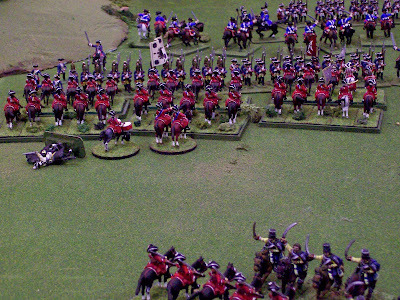 However, they did not fare well there and were driven off by Jürgen Olks French and one of my Gendarme units. 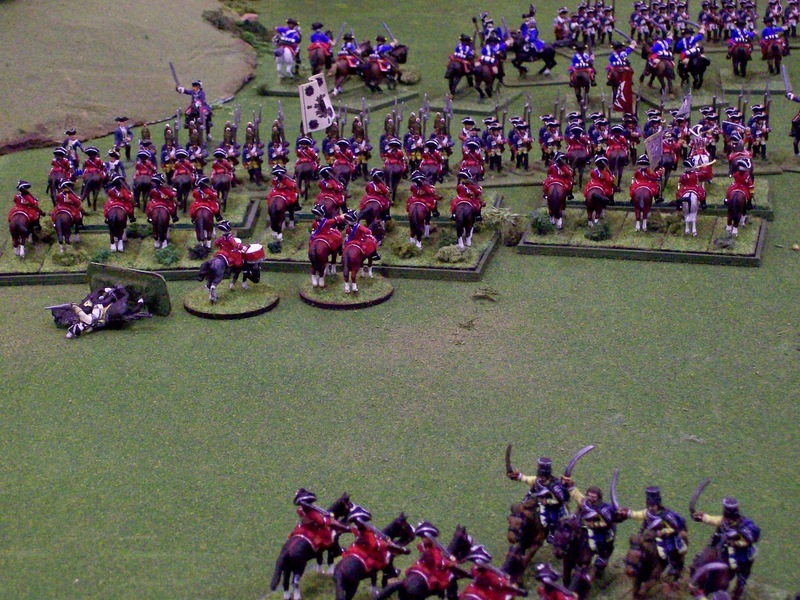 The leading Gendarmes Anglais assisted on the left side of the Royals and beat the Prussians there. 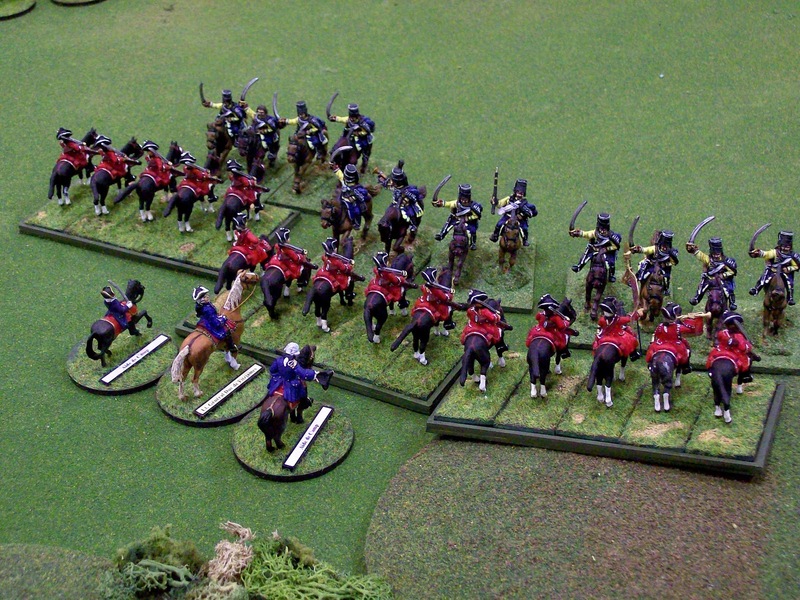 Note Prussian blue-coated dragoons in the rear of the Prussian force. 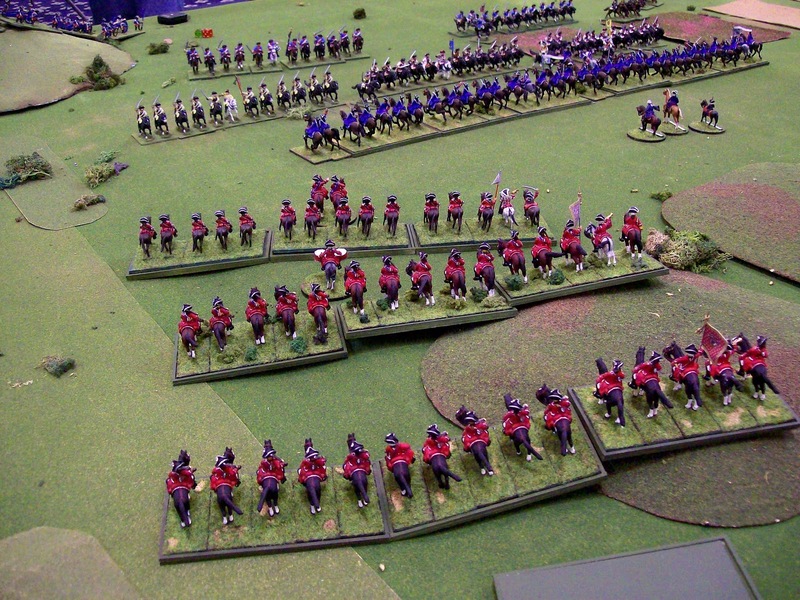 Queens Gendarmes dispatched the Prussian hussars in this photo. These fled across the Prussian battle line stopping the advance of their infantry. Keep going mes amis! 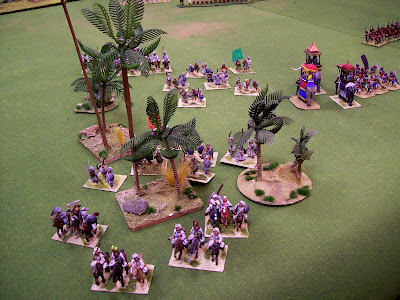 More French pursuits into Prussian infantry. 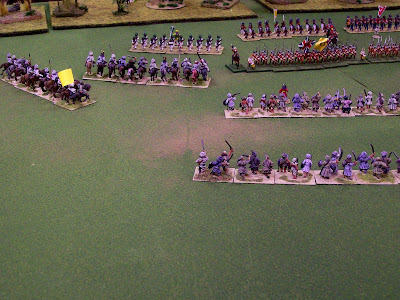 These Prussians had incredible bad luck with morale throws and routed. More pursuits and discombobulation. 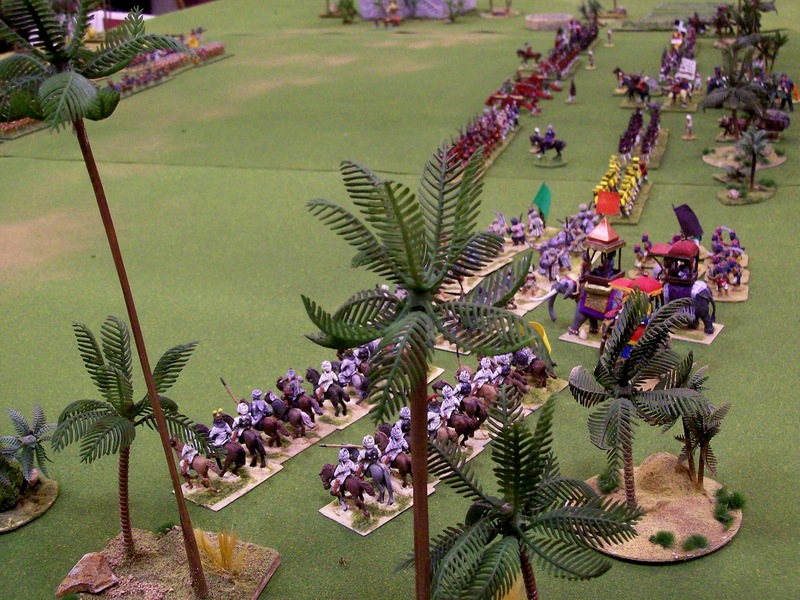 The enemy advance onto the field was disrupted. We turn around to see the previous photograph from the Prussian baseline; the last act before the game was called. 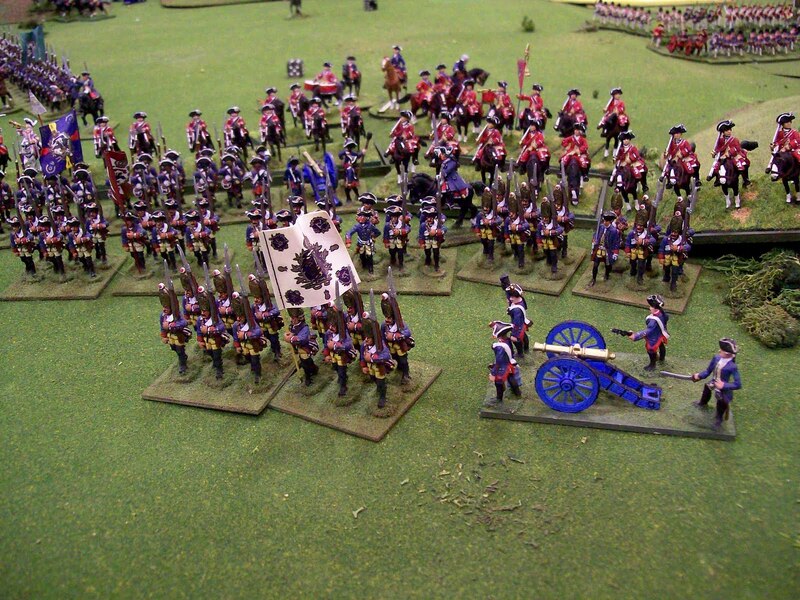 Two Gendarme units will receive Battle Honours on their standards reading Korbach March 26 1760/2011. A lucky game for me. 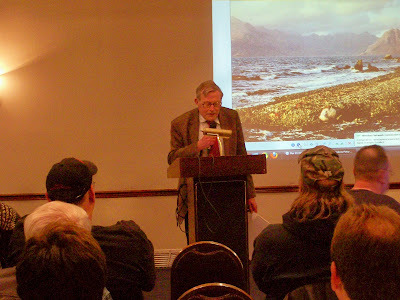 SYWA #28 Director Randy introduces the celebrated Professor Christopher Duffy, author of numerous military history titles, many related to the SYW. 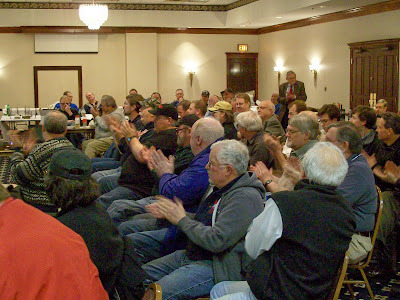 The members and guests clap in anticipation and sincere appreciation as he steps forward. 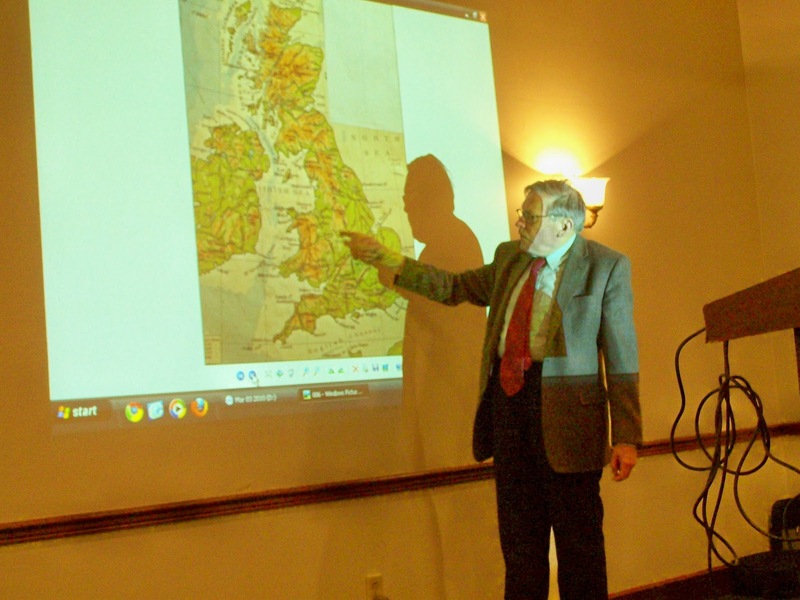 Professor Duffy spoke for nearly an hour about The Jacobite Rebellion. Topics with numerous illustrative stories and insight: Bonnie Prince Charlie, The Duke of Cumberland, other personalities, troop qualities, plan of campaign, the "rubbish" of the Cumberland bayonet drill (not used), arms, tactics, maps, garments, politics, public opinion in England when it was all over and very much more.